Dr. Zarina Staller has truly lived a life committed to dentistry. As a child in Colombia, she helped her parents in their own dental practice, where she developed a love for helping others. Knowing dentistry was always her passion, she attended Colegio Odontologico in Bogota, Colombia, graduating with a D.D.S. degree in 1989. Dr. Staller worked in a private practice in Colombia, before coming to the United States, where she earned a D.M.D. degree from Nova Southeastern University School of Dental Medicine in Florida. This gives her a unique distinction in the field, as she currently holds two degrees in dentistry. 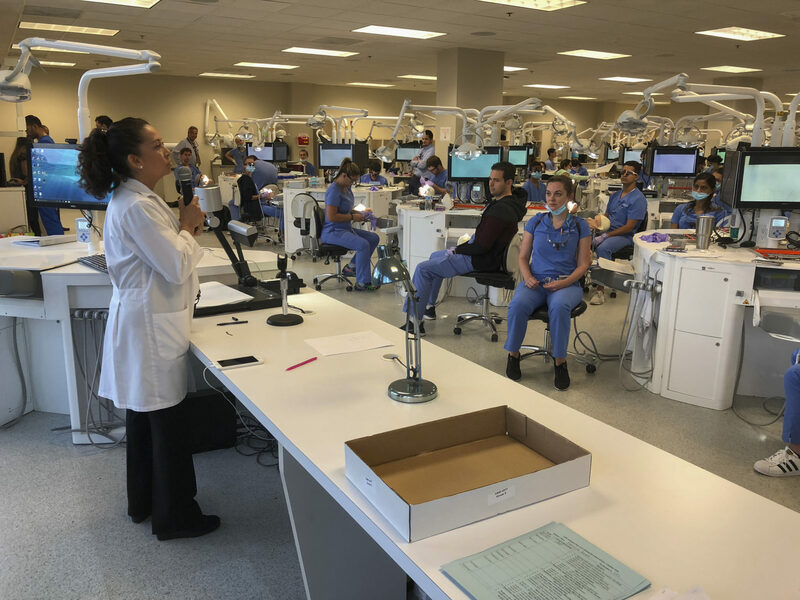 Dr Staller lecturing 3rd year cosmetic dentistry students at Nova Southeastern University. In 2000, Dr. Staller was hired by the Nova SE University to be part of their teaching staff. She focuses on the cosmetic aspect of dentistry within the restorative department. She still does to this day! Dr. Staller has a vital role in teaching and molding the minds of future dentists. She was honored with the Academy of General Dentistry Award for most outstanding student in the dental school during her studies at Nova. After graduating with honors in 2000, she’s taken on the role of Presidential Knight, representing the University at different events, and has taught clinical classes at the school as well. 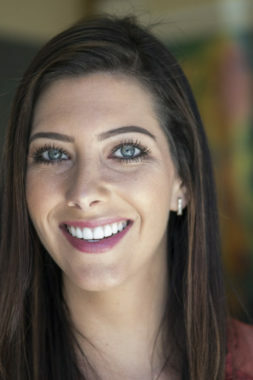 Dr. Staller is a member of the American Academy of Cosmetic Dentistry, the American Academy of Implant Dentistry, the Academy for Sports Dentistry, the Academy of General Dentistry, and the American and Florida Dental Associations. 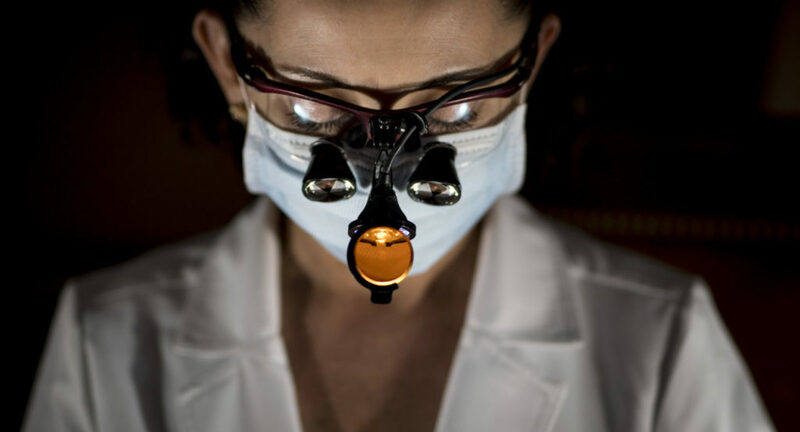 She served as the team dentist for FAU football and basketball teams for five years. Her professional associations and affiliations are quite impressive and extensive, though it is her positive personality and her benevolent energy that really make Dr. Staller stand out. She uses her skills to better the community and actively strives to make a difference in the lives of everyone she meets. 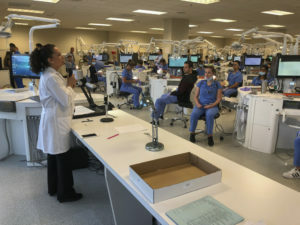 She actively participates in special dental days for the military, where she sees several hundred soldiers a day at least twice a month. In addition, she volunteers at a clinic where she provides dental care for low-income children and families. Dr. Staller provides every patient with her uninterrupted time and attention, with an exceptional focus on detail and oral health. When she’s not in the office, she loves playing golf, tennis, skating, and racing cars. She enjoys architecture and underwater photography, both apparent in her office design, which is decorated with photographs she has taken. Dr. Staller sees the artistic value in everything, from nature’s beautiful oceans to Delray Beach’s spectacular smiles.